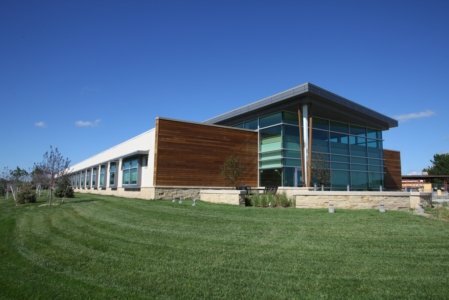 Community Hospital, McCook, Neb., is a 25-bed, not-for-profit, critical access facility that has served southwest Nebraska and northwest Kansas since 1974. Our hospital excels in surgery care, rehabilitation programs, obstetrics, emergency care, and offers a wide range of visiting specialists. Our campus-based McCook Clinic offers a wide range of family healthcare services. Our rural health clinics in Trenton and Curtis, Nebraska, ensure patients in neighboring communities have access to care close to home. Known for our friendly staff and advanced facilities, The Joint Commission twice named Community Hospital as a Top Performer on Key Quality Measures® of surgical care. We have also been recognized for excellence in customer service and the high quality of care we provide. Patients regularly tell us that the care they receive meets or exceeds expectations. We attribute that to our compassionate, experienced medical and administrative staff, our dedication to investing in the latest, most advanced technologies, and encouraging staff to continue their education and grow existing skill sets. When you enter our hospital, you’ll discover a spirit of community, where everyone works together and truly cares about each other. We take enormous pride upholding our reputation of delivering excellent care and being regarded as a regional healthcare leader.